Earlier this year in March reports revealed that Snapchat had started testing a new ‘Connected Apps‘ feature in a beta release which would allow users to connect their Snapchat account with other apps. It turns out, Snapchat has plans for even deeper integration with other apps, with a recent report from TechCrunch highlighting the developer-facing side of the the ‘Connected Apps’ feature – a full-fledged developer platform called Snapkit. Sources familiar with Snapchat’s discussions have revealed that the Snapkit SDK will allow third-party app developers access to a number of Snapchat’s feature, including the aforementioned login authentication, Snapchat’s Bitmoji avatars, and most interestingly, Snapchat’s full-featured AR-enabled camera software. The report states Snapchat will let developers harness its editing tools and AR camera for their own apps. 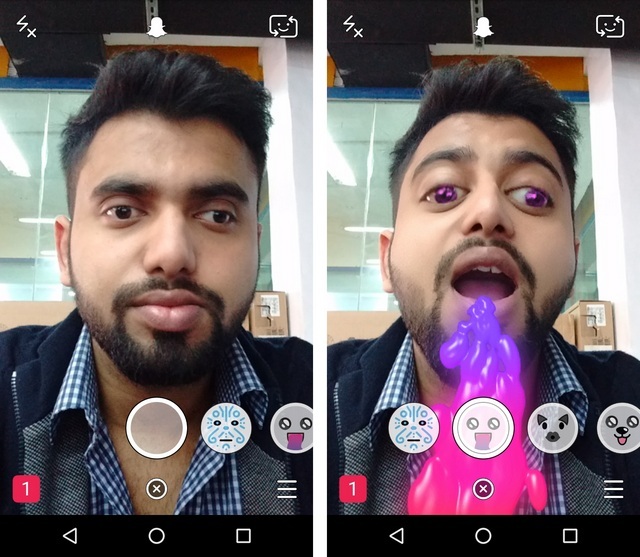 “Instead of having to reinvent the wheel if they want to permit visual sharing and inevitably building a poor knockoff, apps could just add Snapchat’s polished camera. The idea is the photos and videos shot with the camera could then be used in that app as well as shared back to Snapchat,” the report says. Snapchat would aim to get integrations such as Spotify’s recent tie-up with Facebook and Instagram for Stories. Snapkit’s login with Snapchat feature might actually prove to be more attractive for privacy conscious users over Facebook’s alternative as Snapchat collects far less user data compared to Snapchat. This, in effect, would bring new users to Snapchat who are looking for an easy login alternative, but don’t want to depend on Facebook following the recent Cambridge Analytica controversy. While the sources revealed a number of details about the company’s efforts, there’s no concrete information about a release timeline for the aforementioned third-party integration.